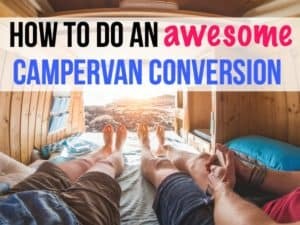 Do you ever feel intimidated with building out your own diy camper van conversion? There are so many options out there, from which toilet to choose or stove to install. How about doing your own electrical systems? 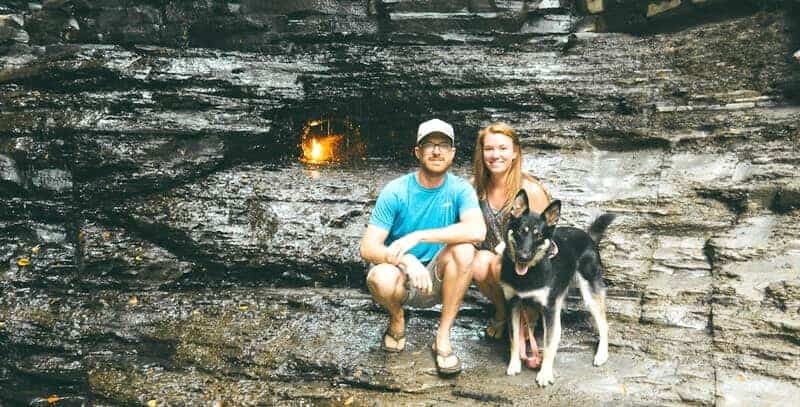 One van life couple is here to help. Kate and Ian of Parked in Paradise have been traveling in their diy campervan for over two years now. At first, they wanted to take a “gap year” before settling down and travel around 48 states. Now, they’re addicted to van life, and aren’t sure when they’ll stop living on the road. When Kate and Ian first started building their camper van, they couldn’t find many helpful resources. Most websites focused on individual van build outs, rather than offering general information. That’s what Parked in Paradise tries to achieve. If you browse their website, you’ll find all sorts of useful, applicable information. I caught up with Kate and Ian to ask them a few questions about van life and their website. 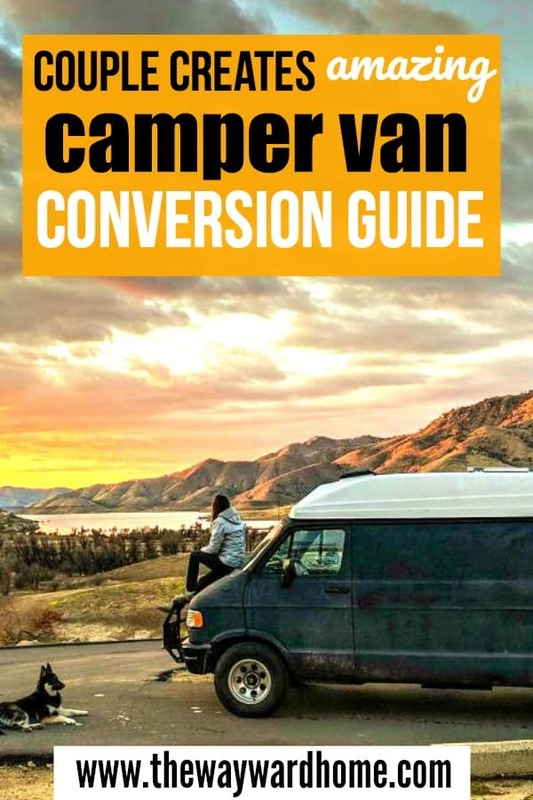 Which diy campervan topics do you cover? Our goal with the website is to cover everything van life. One of the areas we are most proud of is our camper van electrical guide. 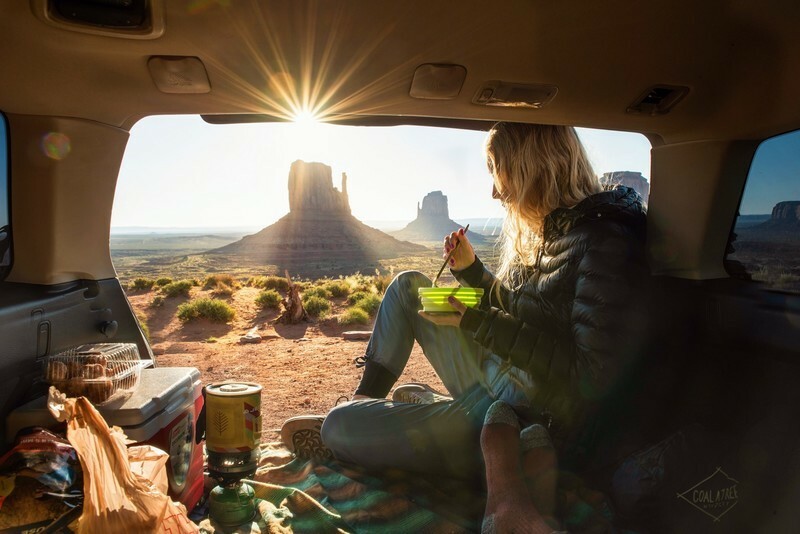 How to use solar and power are some of the more common questions people ask when it comes to living in a van full time. We’ve found a lot of misinformation on the web and we tried our best to only post accurate info. That means we double-checked all or our sources in multiple electric forums and we are constantly updating the site as we gather more details. 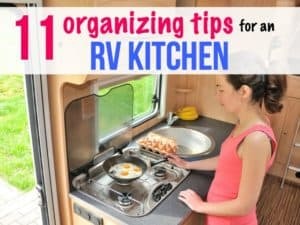 Besides electric, we try to cover all of the basic info for someone looking into starting the van life. We do this with posts on insulation, temperature control, how to handle bathrooms, cooking and more. We have new posts updated weekly in our how to live in a van section. 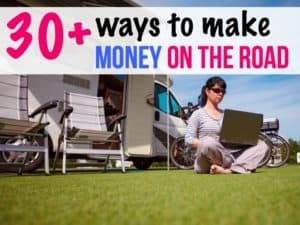 Why is it important to you to help people do the van life? Van life has been a huge change in our lives. When we first started we thought it would be more of a vacation or a fun few months, but it has truly transformed the way we look at our future. When you start traveling in a van (even for just a few months) you get to experience more than you ever would with all of your vacation days combined. Taking the step to move into a campervan is not an easy task. There is so much information out there it can be really overwhelming. 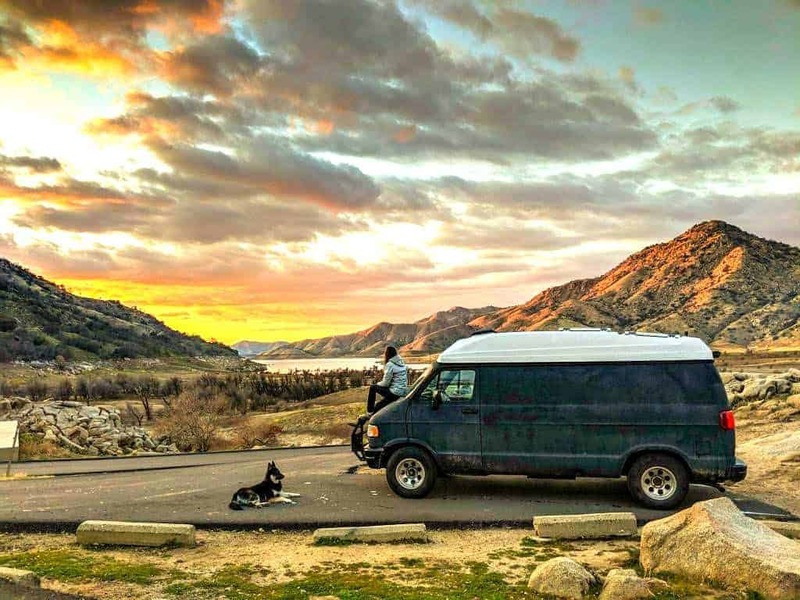 We’re hoping to ease the burden so more people can get out there and experience the freedom of van life. What is the hardest part of a diy campervan conversion? We made the mistake of starting our van build in July in Phoenix. Our campervan did not fit in a garage and we didn’t have shade to cover so building it out was really hot. Our tensions were pretty high during the whole build process and that made things a lot more difficult. We also went into it without much of a plan. We ended up redoing the walls multiple times because we couldn’t decide on things. If we were to do it again, we would map out our plans a little better and start the build in more pleasant weather. 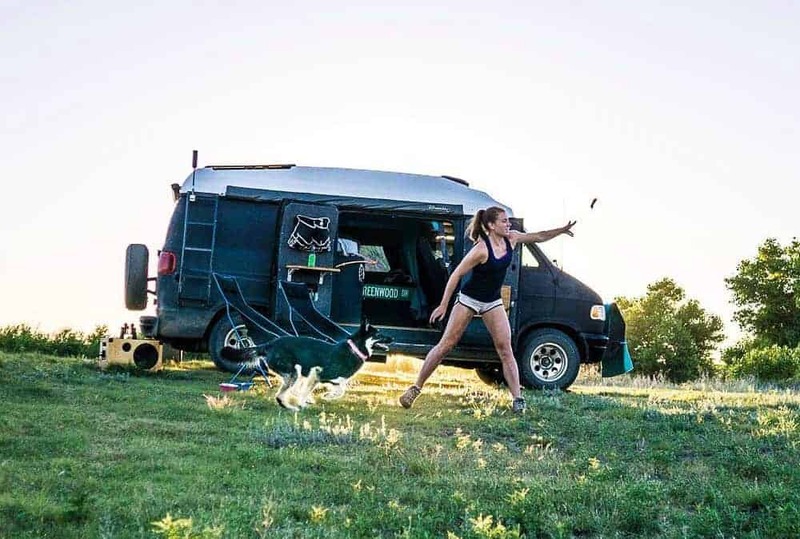 Do you have any advice about van life with a dog? Bringing the dog along was a big decision for us. We had some friends willing to watch her while we traveled and we weren’t sure if it would be a good idea. In the end, we are so glad we brought her along! It has been an easier transition than we were expecting. In a van, temperature control is a huge deal. Our number #1 tip is to have a vent fan and reflectix on the windows to keep it cool. We also leave a note on the dashboard with our phone number in case anyone gets worried. We never leave our dog in the van for too long, and we always try to park somewhere that we can see the van if we’re in a coffee shop or store. If we ever have days that we want to go see a National Park or area that does not allow dogs we find a doggie daycare like Petsmart or Rover.com. Bringing the dog along was a good decision for us because it keeps us more active. We spend a lot of time taking her on hikes and runs. Would you recommend a diy van conversion or custom build? We would definitely recommend a DIY build. Building out a van is easier than it looks, and if you’d be surprised at how much you can do with a minimal setup. 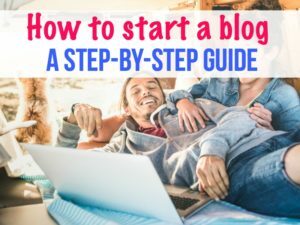 There are a lot of resources online an I think it saves a lot of money if you do the work yourself. What do you wish you had in your camper van? One thing we hadn’t accounted for when we built out our van was a proper seating area. We find ourselves trying to work inside the van a lot and we don’t have a table or any sort of chair setup. If we were to do it again I would either want to include a desk or some sort of swivel seat in the front so we would have a little more space to sit up straight. To follow Kate and Ian on Instagram, head here: Parked in Paradise. Totally! They have some great tips about how to do things right with a dog, which I think people will appreciate. Thanks for reading! I am a soon to be 69 year old woman who is thinking of van life for when I retire in a year (13 – 19 months) and do not own the tools needed to do a van conversion as well as I broke my back at school and have a handicap placard. Therefore, it is not really an option to do it myself. 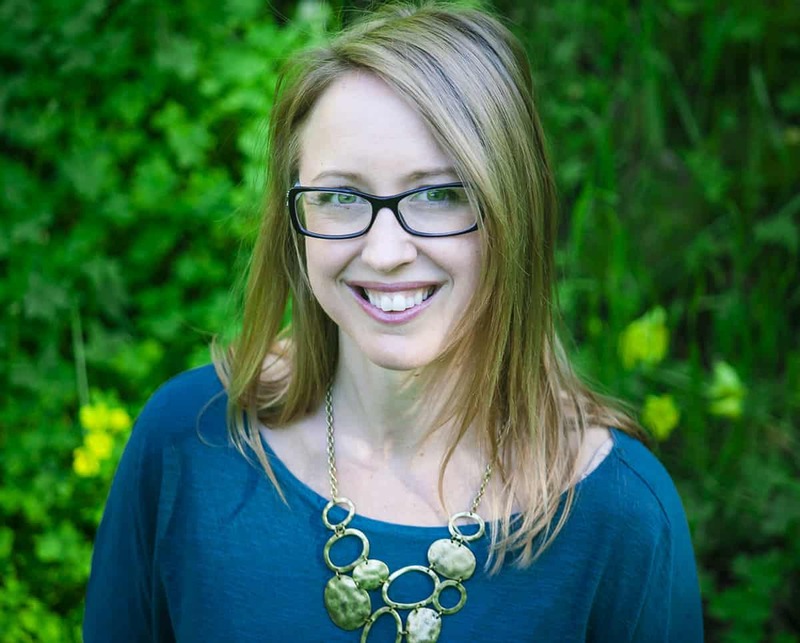 Do you know anyone in the Bay Area or close enough to drive to that can do conversions? I have searched but am not finding anyone because perhaps I am putting the wrong thing into the search engine. Can you help? It really depends on your price point. You can also try searching Craiglist, and the Class B Campervan for sale group on Facebook. Good luck and let me know if you have further questions!